By criminalizing alleged “contacts with the Kremlin” - and by demonizing Russia itself - today’s Democrats are becoming the party of the new and more perilous Cold War. In light of recent events, from Washington to the false alerts in Hawaii and Japan, Cohen returns to a theme he has explored previously: the ways in which the still-unproven Russia gate allegations, promoted primarily by the Democratic Party, have become the number-one threat to American national security. Historical context is needed, which returns Cohen briefly to related subjects he has also previously discussed with Batchelor. This year marks the 70th anniversary of what is usually said to have been the full onset of the long Cold War, in 1948. In fact, 2018 marks the 100th anniversary of US-Russian cold wars, which began with the Russian Civil War when, for the next 15 years, Washington refused to formally recognize the victorious Soviet government - surely a very cold relationship, though one without an arms race. The first of several détente policies - attempts to reduce the dangers inherent in cold war by introducing important elements of cooperation - was initiated by President Franklin D. Roosevelt in 1933, when he formally extended diplomatic recognition to the Soviet Union, then ruled by Stalin. That is, FDR was the father of détente, a circumstance forgotten or disregarded by many Democrats, especially today. 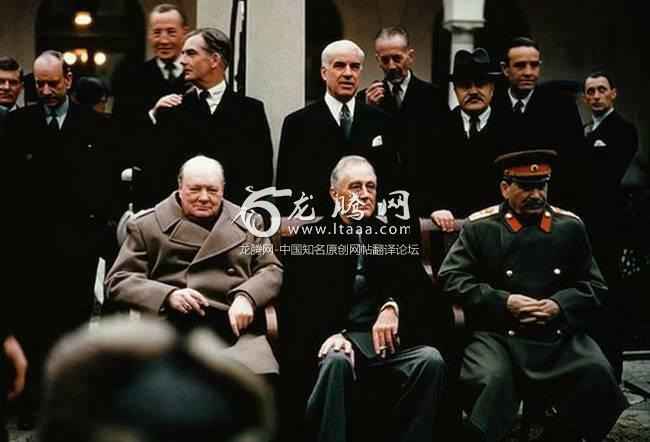 Three major détentes were pursued later in the 20th century, all by Republican presidents: Eisenhower in the 1950s, Nixon in the 1970s, and by Reagan in the second half of the 1980s, which was so fulsome and successful that he and his Soviet counterpart, Mikhail Gorbachev, thought they had ended the Cold War altogether. And yet today, post�CSoviet Russia and the United States are in a new and even more dangerous Cold War, one provoked in no small measure by the Democratic Party, from President Clinton’s winner-take-all policies toward Russia in the 1990s to President Obama’s refusal to cooperate significantly with Moscow against international terrorism, particularly in Syria; the role of his administration in the illegal overthrow of Ukrainian President Yanukovych in 2014 (a coup by any other name); and the still-shadowy role of Obama’s intelligence chiefs, not only those at the FBI, in instigating Russiagate allegations against Donald Trump early in 2016. It should also be remembered that the current plan to “modernize” US nuclear weapons by making them smaller, more precise, and thus more “usable” was launched by the Obama administration. Still more, the same Democratic actors have increasingly suggested that normal “contacts” with Russia at various levels - a practice traditionally encouraged by pro-détente US leaders - are evidence of “collusion with the Kremlin.” (A particularly egregious example is General Michael Flynn’s “contacts” with a Russian ambassador on behalf of President-elect Trump, a long-standing tradition now being criminalized.) Still worse, criticism of US policy toward Russia since the 1990s, which Cohen and a few other Russia specialists have often expressed, is being equated with “colluding” with Putin’s views, as in the case of a few words by Carter Page - that is, also as disloyal. Until recently, Democratic Russiagate allegations were motivated primarily by a need to explain away and take revenge for Hillary Clinton’s defeat in the 2016 presidential election. Now, however, they are being codified into a Democratic Party program for escalated and indefinite Cold War against Russia, presumably to be a major plank in the party’s appeal to voters in 2018 and 2020, as evidenced by two recent publications: a flagrantly cold-warfare article coauthored by former Vice President Joseph Biden, who is clearly already campaigning for the party’s 2020 presidential nomination, in the current issue of Foreign Affairs; and an even more expansive “report” produced by Democratic Senator Ben Cardin purporting to show that Putin is attacking not only America, as he purportedly did in 2016, but democracies everywhere in the world and that America must respond accordingly. Both are recapitulations of primitive American (and Soviet) “propaganda” that characterized the onset of the early stage of the post-1948 Cold War: full of unbalanced prosecutorial narratives, selective and questionable “facts,” Manichean accounts of Moscow’s behavior, and laden with ideological, not analytical, declarations. Indeed, both suggest that “Putin’s Russia” is an even more fearsome threat than was Soviet Communist Russia. 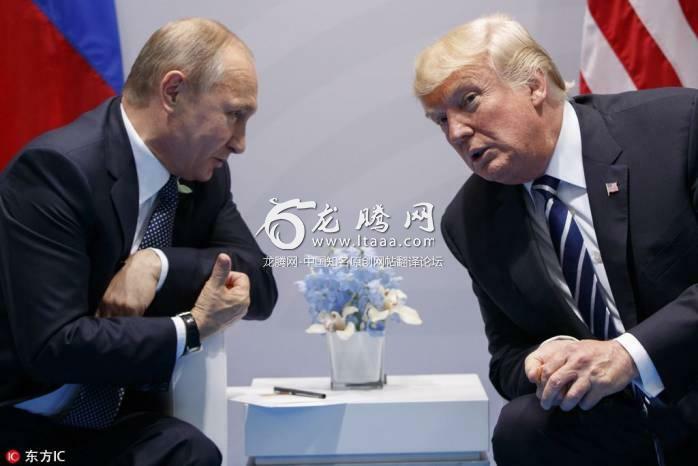 Tellingly, both implicitly deny that Russia has any legitimate national interests abroad and, with strong Russophobic undertones, that it is a nation worthy in any way. Both preclude, of course, any rethinking of US policy toward Russia except for making it more aggressive. These latter approaches to Soviet Russia were eventually tempered or abandoned during the era of détente for the sake of diplomacy, relegated mainly to fringe groups. Now they are becoming the proposed policies of the Democratic Party. Leave aside, Cohen continues, the consequences of another prolonged Cold War for a “progressive agenda” at home. Consider instead the supremely existential and real danger of nuclear war, which as Reagan wisely concluded, “cannot be won and therefore must never be fought.” And consider the false alarms of incoming nuclear missiles recently experienced in Hawaii and Japan. These episodes alone should compel any Democratic Party worthy of the name to support Trump’s pro-détente instincts, however inadequate they may be, and urge him to pursue with Putin agreements that would take all nuclear weapons off high alert, which gives both leaders only a few minutes to decide whether such alarms are authentic or false before launching massive retaliation; adopt a reassuring mutual doctrine of no-first-use of nuclear weapons; and move quickly toward radical reductions of those weapons on both sides. But for that to happen, the Democratic Party would need to give American national security a higher priority than its obsession with Russiagate, which is currently very far from the case. Some Democratic members of Congress seem to understand this imperative, at least privately, but evidently lack the civic courage to speak out. And, to be ecumenical, so do those Republican members and their media who now allege that Russiagate is somehow a function of “Russian propaganda” having been smuggled into American politics. Hegel liked to say, “The Owl of Minerva spreads its wings only with the falling of dusk” ― that wisdom comes too late. A Hegel-like historical irony may also be unfolding. FDR was the first pro-détente president. Due primarily to today’s Democrats, Trump might be the last. No reasonable person had any interest in a new cold war. However the moneyed imperial (global) powers and the famous (US) military industrial complex thought differently needing an enemy to keep their power and interests in place. If humanity still has a wish to survive it had better get rid of all these before they destroy all life on this planet. I no longer want Peace with the US or their allies. I want nothing less than their total destruction at any cost, even including the end of the World. For the sake of future generations, I trully hope this will never happen but for some explainable./selfish reason I feel exactly the same. This is the enemy wants to destroy the whole humanity so the best thing is take off their mask to the world to see thru their intentions if they want to destroy the world or not. Nunya is right, Mr. Cohen, as Khrushchev, Gorbachev, and the American regime, propagate deceptive detentes anyway. How come they're all propagating lies about the right man/leader in the picture? That's ridiculous. Capitalism, only, works for most people when it is controlled capitalism, which means there have to be some social programs and a social slant. We're moving to uncontrolled capitalism, which is ruining our air, land and water. We've been moving away from free markets for over 100 years. Government intervention and socialism is to blame for pollution. In uncontrolled capitalism, consumers choose which company will succeed. So a company that's polluting air, land, water will go out of business as people spread the word. That system isn't working because of the intervention you are advocating. in theory only. The reality is that mass consumers buy the cheapest products on offer....until its too late and the damage is done. No, it's not just theory. It's historical fact. Government interventions prop up bad companies so that consumers have fewer choices. This has been going on since railroads were built. Take green energy today, for example. Consumers and companies want green energy because it's efficient and good for the environment. There's a huge market, however fossil fuel companies lobby for regulations to destroy competition and to subsidize poisonous energy. Government prevents mass consumers from solving the problems of pollution and global warming. Murderous villains painted over to look like saintly heroes for posterity. Abraham Lincoln was a murderous dictator. Democrats learned how to paint a rosy picture of these villains from the Republicans. In the main image we see three Zionists united under the flag of Jewish Mafia. the two Anglos were Freemasons. but fell to mafia. under stalin the ussr became the first or second country recognize israel (depends how you count it). stalin did get rid of jewish influence, inside the ussr true, until the doctor plot. so hes 50/50. There is text that Stalins wife was of Jewish background. In order to reach a high level in the Soviet gov, one must be first Xionist. Thank you . And the article is written by Cohen on jewish website with jewish chatboard. Depressing, what is worse than Trump is the Democrats running around with their heads twirling spouting "Russiagate" instead of dealing with real issues. Real electoral meddling like the expunging of black and Latino votes with crosscheck, discriminatory voter id laws, gerrymandering and other Republican dirty tricks are being totally ignored. We have truly a failed state-totally disgusting. They were all Freemasons and agents of the Rothschilds and this includes Hitler. Today is no different and the plan for the One World System is practically unassailable. The losers are the 99.9% who are regarded as a subhuman species and commodity to be exploited. The Judeo Masonic Cabal has been engineering us for centuries. If it were that simple, the problems could be solved relatively easily. Not really. They've changed their names to blend into the background that finding them all is nearly impossible. They're like co ckroaches. You don't know they're there until you see one scurrying. By then it's too late, because it was just the scout for the millions already hiding in the walls. The Democrats of FDR's time would think the Democrats now were Republicans at best, and Fascists at worst! USSA Democratics seem hell-bent on implementing USSR-style Communism at home and abroad. Relax the US is crumbling down and will not have the resources anymore to maintain that big military apparatus. If they try then they can use theit weapons in a civil war on their own soil. My respect to prof. Cohen. This is wisdom and objectivity. I like this article. Russia, whatever you do, please don't listen to any advise from Mr. Gorbachev. Two words, NATO expansion. FDR should've never recognized the radical regime of Josef Stalin. But, being a closet communist himself, I guess he just couldn't resist. Oh well. The modern neo-liberal/Neocon Democrats hate pretty much everything about FDR.